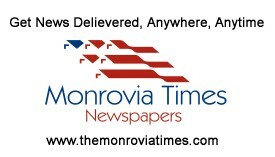 Amidst public outcry over the recent plan by the management of Firestone-Liberia to pay-off 13% of its employees, The Monrovia Times has reliably learned that pay-off letters have been served to the first batch of employees. It can be recalled that in March of 2019 the Firestone management on social media disclosed plans to lay-off 13% of its employees constituting approximately 800 persons. The Company in a release said the decision was reached after a thorough and strategic review of its current operations coupled with unsustainable losses resulting from high overhead costs associated with the company’s Concession Agreement with the Government of Liberia, low natural rubber production because of the country’s prolonged civil wars and continued low global natural rubber prices among others. The decision was criticized by the public including employees and their relatives and friends while some government officials and the Margibi Legislative Caucus strongly opposed the management’s decision on grounds that it was premature as there was no prior notice from the Company and it will leave most of the citizens vulnerable and jobless. But it appears that the Firestone management has ignored the criticism and calls from government officials asking the management to abolish or put a hold on the lay-off plan that was published on social media. A local journalist who followed the process informed this writer via mobile phone that the Company recently issued lay-off letters to about 307 employees from various divisions including Divisions 17, 21, 42 and 43 respectively. Journalist Edwin Ketter revealed that the employees have been given two weeks or 15 days ultimatum by the Firestone Management to vacate the Company’s houses they are occupying. He mentioned that divisions 42 and 43 have about 201 employees and 200 have been issued pay-off letters thereby leaving out one person though it is not clear as to what his status will be. The exercise according to him, will also affect hundreds of students attending the Firestone School system some of whom are possible candidates of the WASSCE Exams (9 & 12 graders). He noted that there are about 300 students in Division 43 attending the Company’s school system that will be compelled to drop from school as the result of the lay-off exercise because their parents will soon leave the plantation and settle elsewhere and will not have access to Firestone schools among others. The Liberian Journalist added that the Company has decided to carry out the pay-off process on a monthly basis until the 13% mentioned in the document that was released in March by the Company can be completed. He intoned that those who received pay-off letters are expected to get their benefit beginning April 30, 2019 indicating that two of the Divisions (42 & 43) are already being shut down by the management. Ketter meanwhile narrated that those issued pay-off letters include tappers, headmen and overseers. For his part, Mr. Harris Morris one of the affected workers who spoke with newsmen said about 76 out of 90 employees were given lay-off letters on the 13th of April 2019 from the Division 17 area. Mr. Morris, ‘what is in the letter is for every year they’re going to pay you for one month’. He furthered disclosed that the Firestone management says each child (dependent) who was attending the Firestone School System will receive US$75 as a resettlement benefit. He, however, blamed the government (past & present) for not advocating in the best interest of its citizens who are always hired by the various concession companies. “My brother you know this Country we live we just have to live because the leaders that we can put them in power we call them our leaders at least they should advocate for us when any company comes in this Country how will the Liberian enjoy, but the people do things at our detriment. You can be a leader of this Country or President or the Lawmaker of this Country who can pass Law that every time you work, can you imagine somebody worked for whole year they only take one month from there and pay the person is that the good labor law they are bringing to us?” he asserted. Mr. Morris has vowed not to participate in any electoral process in the Country even if his son is contesting for the presidency.